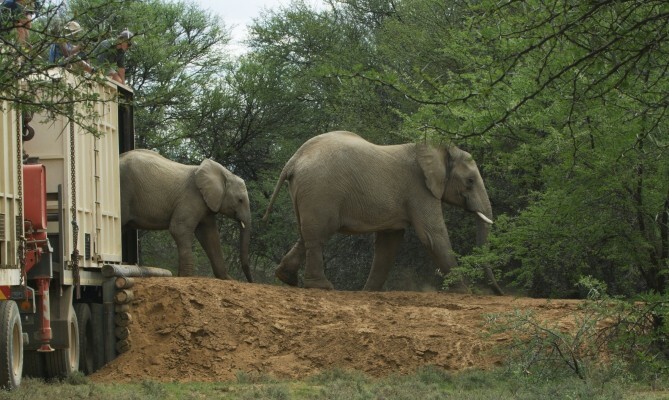 The introduction of a herd of elephant to Samara Private Game Reserve yesterday has marked a conservation milestone as these animals return to their historic range, entrenching Samara’s status as one of the most significant conservation areas in the Karoo. 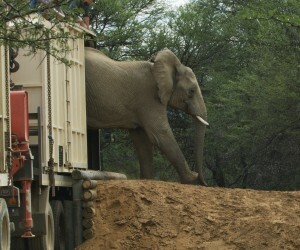 The herd that has been introduced to Samara comprises a small family group of six elephant. Once they are settled, they will be joined by a mature bull. In time, another small family group may also be introduced. Sarah and Mark Tompkins, owners of Samara Private Game Reserve, explain that when they first established the reserve in 1997, their aim was to restore the area to the wildlife haven it had been before species like cheetah, rhino, Cape lion, springbok and elephant were eradicated by early farmers and settlers. “This is an extremely important area from an ecological point of view,” Sarah explains, adding that the Maputaland-Pondoland-Albany Thicket, where Samara’s 27,000 hectares of scenic wilderness are located, has been designated as one of the world’s 36 Global Biodiversity Hotspots. Samara, the largest private game reserve in the Eastern Cape and comprising four vegetation biomes, acts as a crucial catalyst for protecting the delicate and diverse ecosystem of the Great Karoo, as the Tompkins work to create a system of corridors and partnerships that will result in the creation of the third largest protected area in South Africa. 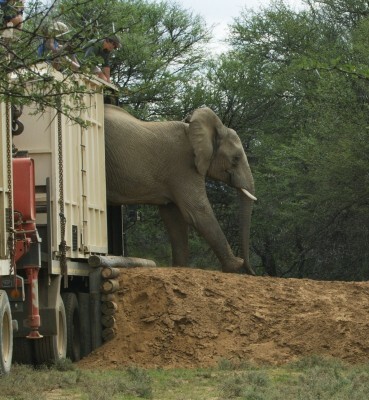 The translocation of Samara’s elephants was undertaken by wildlife capture specialist Kester Vickery of Conservation Solutions, and was partially funded by the NGO Elephants, Rhinos & People and the Friends of Samara. It was also supported by Wilderness Foundation UK. About Samara Private Game Reserve: Located 270km from Port Elizabeth (and 53km from Graaff-Reinet), Samara Private Game Reserve is easily accessible via excellent roads. Covering four vegetation biomes of spectacular beauty, the reserve offers accommodation in two five-star lodges, with activities including game drives, guided walks, wilderness picnics, star bed sleep-outs, mountain biking, conservation activities and a children’s programme.